Educational information of West Bengal [School, College, University – Admission, Examination, Result & reviews]. Jobs & career related information of West Bengal [Government Jobs, Railway Jobs, Banking Jobs – Jobs of Kolkata, Jobs in Bengal]. Entertainment (Bengali celebrities & film) related information of Tollywood Film Industry [Bengali Movies, Bengali Actor/Actress Profiles]. Tourist spot related information of West Bengal [Picnic spots & tourist locations of Bengal]. Sports & game related information of West Bengal [KKR Team news, Bengal Cricket, Football Teams of Bengal – Cricket & Football Stadiums of Bengal]. West Bengal Government related information [Bengal political leader profile, WB Government works]. Kolkata & Bengal Yellowpage [Address & Phone number of every shops, showrooms, malls etc of Bengal]. Medical & Treatment related information of West Bengal [Hospital / Nursing Home details, Medical Camp & Doctors list of Bengal]. www.KolkataBengalInfo.com, free informatics website, publishes almost all information about West Bengal State and we do not share or sell any personal information (like personal mobile number, email id etc) to any third parties. 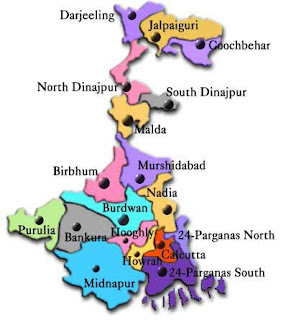 We try to publish accurate, correct and latest news updates of recent activities of Bengal. Please feel free to contact us to know more about us through – Twitter, Facebook Profile, Google+ Profile & Direct Message System.